Hair Botox: What Is It for and Does It Work? Who Is a Good Candidate for Hair Botox? What’s Involved with Hair Botox Treatment? What Are the Best Hair Botox Products? Hair botox is a rejuvenating hair treatment that reduces frizz and improves the health of your hair. Hair botox is suitable for all hair types. Hair botox is much safer than keratin treatment. Hair botox is a deep conditioning treatment that eliminates frizz, adds volume and rejuvenates damaged hair. It’s marketed as a safer alternative to keratin treatment, which typically contains harsh chemicals like formaldehyde. Hair botox might share its name with the popular anti-wrinkle treatment, but that’s where the similarities end. Whereas Botox is an injectable product used cosmetically to reduce the appearance of wrinkles, hair botox is a topical treatment intended for use on hair. Hair botox does not contain botulinum toxin, the neurotoxin in Botox that relaxes facial muscles and smoothes the skin. A range of cosmetics companies make hair botox products, including L’Oréal, Koko Keratin, INOAR Professional and many more. Hair botox can improve the appearance and health of your hair. The treatment reduces frizz, makes your hair look smoother and reduces styling time. Hair botox also hydrates and moisturizes your hair. This helps reverse damage, prevents split ends and supports hair growth. Results are visible immediately and tend to last for approximately three months. The effects of hair botox can typically vary depending on lifestyle factors and your hair type. As noted above, no needles are required for hair botox treatment. Instead, the product is applied directly to your hair and combed through to maximize coverage. You can do the treatment on your own at home using products you’ve purchased yourself, or have it done professionally at a hair salon. Washing your hair with a cleanser to remove buildup and prepare it for conditioning. Separating your hair into sections. Applying the hair botox by brushing and/or massaging the product into your hair. Sealing the treatment. Some stylists will leave the product in for 30-90 minutes before rinsing it out and straightening your hair with a flat iron. Others may choose to leave the product on while drying and straightening your hair. Hair botox is generally considered to be very safe. Most people are able to achieve good results without experiencing any negative side effects. As with most topical treatments, there is a small risk of an allergic reaction occurring. Do a small spot test on your hair to see how your body responds before applying the product to the rest of your head. Similarly, try to avoid getting hair botox on your skin to reduce the risk of triggering a skin reaction. Hair botox is suitable for all types of hair, while keratin treatment is usually used only on thick, frizzy hair. Hair botox conditions and rejuvenates damaged hair, whereas keratin treatment may cause damage with repeat treatments. Hair botox can be applied at home. Keratin treatment needs to be done in a salon out of safety concerns. The most important difference between hair botox and keratin treatment is that hair botox does not contain formaldehyde. This makes it much safer to use than keratin. Overexposure to formaldehyde can increase the risk of cancer. In 2011, the National Toxicology Program reassessed formaldehyde and updated its listing to “known to be a human carcinogen”. Some keratin treatment products have been found to contain dangerously high concentrations of formaldehyde. In a study published in the American Academy of Dermatology, researchers set out to measure the formaldehyde concentration of keratin treatment products. Of the seven products tested, six contained formaldehyde levels ranging from 0.96 to 1.4% – a full five times higher than the recommended 0.2% set by the US Cosmetic Ingredient Review Expert Panel. In the short term, exposure to formaldehyde can lead to a range of adverse effects such as watery eyes, coughing, nausea, burning eyes and nose, skin irritation and more, according to research from the National Cancer Institute. The Occupational Safety and Health Administration has received a number of complaints from salon workers who have been exposed to unsafe levels of formaldehyde as a result of performing keratin treatments. Wash your hair thoroughly with a clarifying shampoo to remove any dirt, chemicals and other contaminants that may have built up. Rinse out the shampoo and gently blow-dry your hair. Untangle your hair using a wide-toothed comb. Prepare the hair botox according to the instructions on the box. Divide your hair into four even sections. Using a dye brush, apply the mixture from the roots of your hair to the tips. Comb through to ensure the product is distributed evenly throughout your hair. Leave the mixture on for 45 minutes or as instructed. Curly hair may require more time. Wash out the hair botox and blow-dry your hair. Use a flat iron to seal in the product. The flat iron should be set to 425F for most hair types. Not all hair botox products are created equal. A quick internet search will reveal dozens of do-it-yourself hair botox kits, but the quality of the results vary significantly between products. 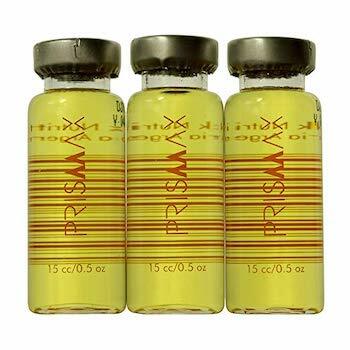 If your hair has suffered damage from excessive dyeing, straightening or highlight, Prismax Hair Botox might be exactly what you need to breathe new life into your hair. With a special formula featuring Vitamins B6 and B5, this product is designed to revitalize damaged hair and make your hair softer, healthier and stronger. Smooths and rejuvenates dry, damaged hair with Vitamin B6 and B5 Panthenol. No formaldehyde or harmful chemicals. For all hair types. Smooths hair shaft cuticles making your hair feel softer and healthier after just one use. 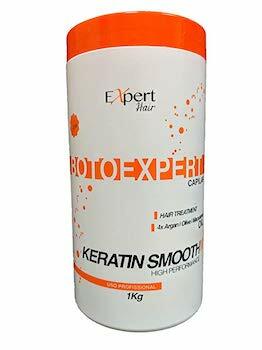 Rich in nutrients and natural keratin, BotoSmart Rejuvenating Hair Treatment is a great product for anyone who wants softer, shinier and healthier hair. While many people report great results with BotoSmart Rejuvenating Hair Treatment, some users note that it has a distinct smell that might not appeal to everyone. 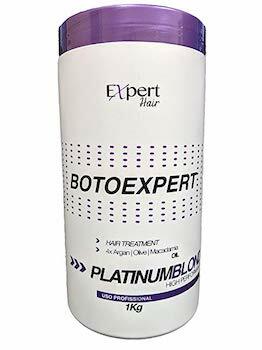 This product is competitively priced, making it a good option for those looking for an affordable way to try botox hair treatments. 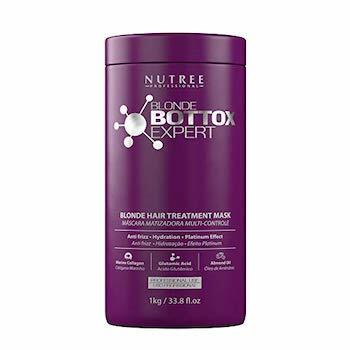 Specially formulated for blond hair, BotoExpert Botox Hair Mask Treatment is a good option for those with fair hair who want to eliminate frizz and have silkier, straighter locks. Rich in vitamins and proteins. To create an anti frizz, silky, soft, and natural looking hair. Specially formulated for dark hair. Both BotoExpert entries use a combination of argan, coconut, olive and macadamia oils to provide your hair with the vitamins and nutrients it needs to thrive. Blonde Botox treatment hydrates and strengthens hair strands with its unique formula comprised of marine collagen, glutamic acid and almond oil. 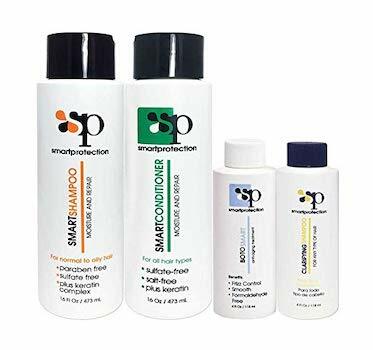 In addition to repairing damaged hair, this product also adds a touch of platinum blonde, making it best suited for people with fine, fair hair. *We determine our Trust Factor based on review analysis performed via ReviewMeta, an independent website that uses data science to analyze the legitimacy and trustworthiness of product reviews. We only post products we deem to have a high Trust Factor. Hair botox is a deep conditioning treatment that can reduce frizz and rejuvenate your hair. It’s a good option for anyone who wants smoother, healthier hair without exposing themselves to the harsh chemicals typically found in keratin treatments.